Acupuncture is a highly effective way to help remove obstacles to the body’s own healing mechanisms. Thin, solid and sterile stainless steel needles are inserted into acupuncture points. Insertion of the slender needles goes unnoticed by some, and to others feels like a small pinch followed by a sensation of tingling, numbness, slight ache, traveling warmth, or heaviness. Sometimes people feel a sensation at a distance from the point of insertion. Needles remain in place for 15 to 40 minutes. Usually relaxation and an elevation of spirit accompany treatment. It is as normal to want to continue resting as it is to be immediately energized. Some notice an immediate relief of symptoms, for others it takes a day or two after the treatment. Herbal medicine is a major component of Oriental Medicine and has been used for over 3000 years in China and worldwide. It is interesting that some MD’s caution against the use of herbal remedies that have been used and studied for thousands of years on billions of patients, but feel very comfortable prescribing pharmaceuticals that have been on the market for very little time, and often have unknown long-term side effects. Before pharmaceuticals (and even the use of acupuncture needles) herbal remedies were used to heal and balance the human body. 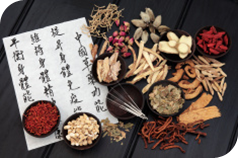 Chinese herbs have shown their effectiveness under the scrutiny of both empirical study and modern clinical trials. These herbs can be used to augment the treatment of a particular imbalance, working together or sometimes in place of acupuncture and other medicines. Herbs can be very beneficial, but they should not be taken indiscriminately. Be sure to follow the labeled dosage and call us if you experience any adverse effects. NAET is a safe and effective technique in detecting and eliminating or desensitizing all types of allergies. NAET combines Kinesiology (Muscle Responsive Testing), Acupressure and Oriental Medicine to clear allergic reactions by resetting neural pathways. 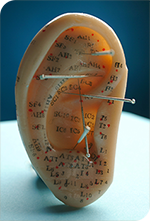 While the majority of Acupuncture and Oriental Medicine practitioners in the United States have favored body Acupuncture treatment techniques, there is an increasing focus on the therapeutic effectiveness of utilizing ear reflex points. 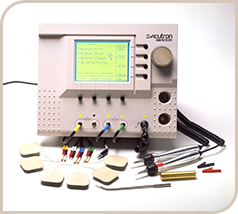 Many individuals are surprised to learn that auriculotherapy can not only be just as clinically effective as body acupuncture and/or acupressure, but also can relieve pain and tension much more rapidly than stimulation of the classical acupuncture meridians. 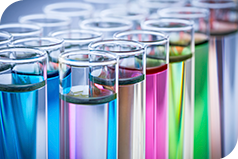 Pattern analysis of blood chemistry can effectively identify physiological imbalances and nutritional deficiencies by viewing and understanding the complex relationships that exist among blood chemistry factors. In many ways, understanding blood chemistry pattern analysis is much more difficult, tedious and time consuming. The main difference between the functional and pathological range is the degree deviation allowed within their normal ranges. For example the functional range for glucose may be 70-85 mg/dl, but the pathological range may be 65-100 mg/dl. Levels above the pathological range may indicate diabetes. Levels above the functional range, but before they reach the extremes of the pathological range, may indicate insulin resistance and future risk for developing diabetes. You may think the ranges presented on lab reports and labeled “normal” for each test are decided upon by a panel of international practitioners, telling us what is healthy and what is sickness. In reality, these mean pathological ranges on lab reports are determined by samples taken in that lab only. A pathological standard that all labs use does not exist. Conventional medical training is concerned with the diagnosis of disease and rarely preventative medicine; therefore, patients are usually not consulted regarding the parameters of the functional range. Healthcare practitioners that practice prevention are those most inclined to incorporate consulting clients when their levels present outside of the functional range. If biomarkers can be managed before they fall within the pathological range, prevention can be implemented. If you have a blood work report that is less than 3 months old, we can use that to determine your wellness if appropriate panels have been run. If not, we can order the proper test for you. 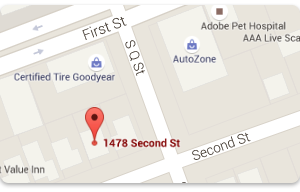 Your test results will be analyzed and you will be provided with a detailed report of findings. Dr. Jens Maassen is trained in Functional Blood Chemistry Analysis and takes the time to review your results with you and explains what they mean. Cupping is an old technique performed in both China and the West. The process traditionally uses glass jars, heated to create a vacuum, and placed on the upper back, creating a suction of muscle and fascia. This stimulates strong blood flow to the area, which helps to relieve tension and pain and to relieve acute illnesses such as colds and fevers. Important Note: Cupping provides strong stimulation and feels very relaxing, but often produces marks that look like superficial bruising that typically lasts from 2 to 5 days. These marks are part of the process and do not hurt, but you might find them unsightly. Of course, you could also show them off as the latest fashion accessory like Gwyneth Paltrow did recently. Gua Sha is another ancient technique often described as "scraping." Gua Sha tools are usually metal or ceramic instruments with a flat edge that is used to scrape against the skin's surface to promote local circulation. The skin is first lubricated with massage oil to increase comfort. We often combine it with cupping to relieve muscular pain and to activate the body's immune system. Moxibustion is the application of heat to a specific area or point on the body. 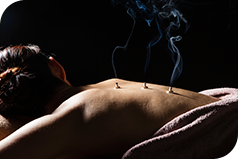 Along with acupuncture needles, moxibustion has become an integral part of the Oriental system of medicine. The term “moxibustion” is derived from the Japanese 'Moe Kusa', meaning 'burning herb'. Moxa is obtained from the herbal plant 'Artermisia Vulgaris', also commonly called mugwort. In moxibustion, heat is applied to certain acupuncture points to provide stimulation and warmth. We often use indirect moxibustion, which involves holding a cigar-shaped stick of smoldering herbs over the points indicated until a feeling of warmth penetrates deeply into the underlying tissues. Moxibustion is especially helpful for poor digestion, excessive feelings of cold, and certain types of sexual dysfunction. Acupuncture without needles! Combining two powerful modalities into one streamlined system, this revolutionary new device offers effective, needleless treatments for pain control and Facial Rejuvenation. These modalities include gentle micro current electrical stimulation, and colored light therapy. Developed according to the principles of Oriental medicine, VLT works in harmony with the natural energy systems of the body. Using VLT, one can expect to achieve good results in resolving acute and chronic pain as well as wrinkle reduction and other de-aging effects without any discomfort or side effects. This cutting-edge holistic treatment system is extremely effective. Results are often are noticeable after only one session. A single infrared heat lamp directed at an area of the body provides excellent and often surprising benefits. 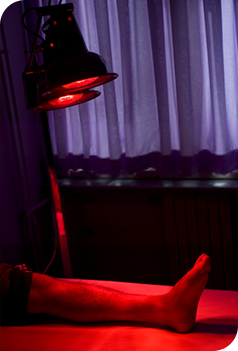 The heat and other frequencies near infrared heat lamps emit improve circulation, hydration and oxygenation. 2) Deep penetration, up to several inches inside the body. 3) Encourage cells to release toxins. 4) Improved oxygenation and hydration of the tissues. 5) Killing infections and parasites. 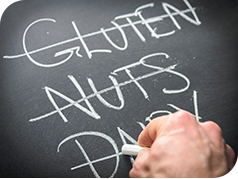 6) Disable harmful microorganisms, including those that cause flu, colds, Lyme disease and many other conditions. 7) Faster tissue and wound healing. 8) Relaxing for muscles and calming for the nervous system.